In 1979 Greg won his first World title at the Junior World Championships in Buenos Aires. 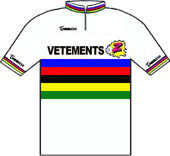 He won after the disqualification of the Belgian, Kenny de Marteleire, who made LeMond almost crash during the sprint. In 1980, 18 year-old LeMond was the first American to win a European pro-amateur stage race. He was congratulated by Roger Legeay who would become his team director 10 years later. 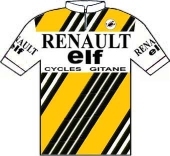 One week later, in the Ruban Granitier de Bretagne stage race, LeMond was discovered by Cyrille Guimard, the team director of Renault. In 1981 LeMond overcame the Soviet Olympic champions to clinch the overall win of America's biggest stage race. Greg won 2 stages and finishes 2nd on the Morgul Bismarck circuit that finished on the steep climb the Wall, where he passed everybody except 1 Russian rider who passed him in the last meters. 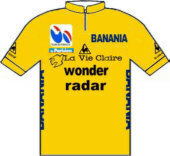 In 1982 LeMond won the little Tour de France for youngsters, the Tour de l'Avenir. He finished more than 10 minutes before Robert Millar, Perez and Herrera. He won 3 stages (2 mountain stages and 1 time trial). In those years the winners of this course were the future Tour de France winners. Greg was no exception in that list. 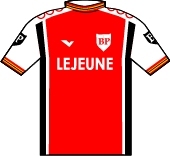 The Dauphiné Libéré was the first big victory for Greg in professional cycling. He won 3 stages and after the disqualification of Pascal Simon (doping), Greg won in 1983 this famous and difficult race and already showed his authority and his capacity to reply attacks of riders like Simon. 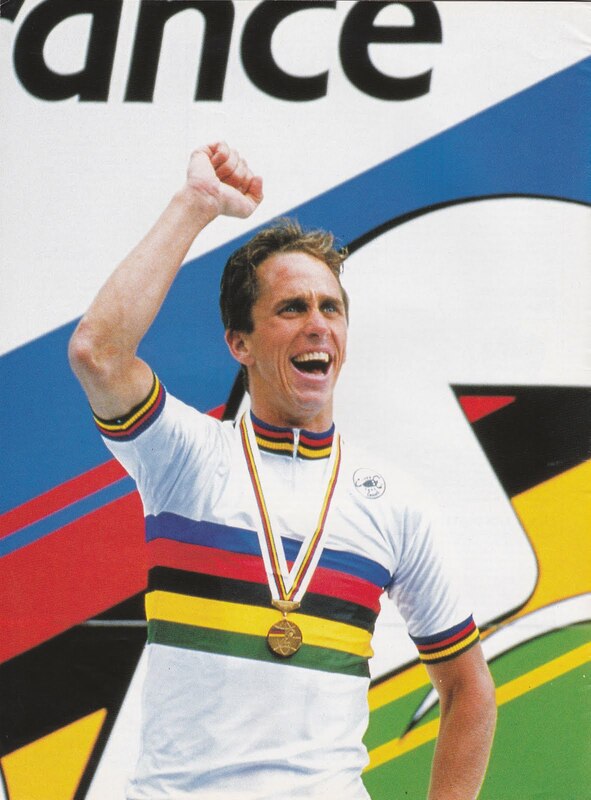 In 1983 Greg LeMond became for the first time world champion in professional cycling . He finished before Van der Poel and Roche after breaking away on the last climb. He finished 1'11 before Van de Poel in a race of 270 km and a total time of 7h1'21". This victory was not a surprise. 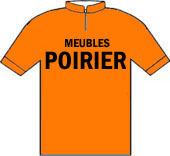 He already won the Dauphiné Liberé that year and was ready to compete in the Tour de France of 1984. In 1984 he was the first American to reach the podium in Paris. 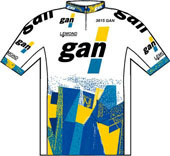 His teammate Laurent Fignon won that Tour. LeMond finished 3rd overall behind Hinault who finished on a second place. 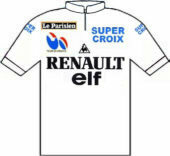 Greg was the best youngster and won the white jersey. During that Tour he won 1 stage. 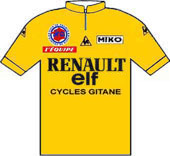 The team trial with Renault-Gitane and had the red jersey (catch sprints) on his shoulders during that stage. In 1985 LeMond showed he could win the Tour de France. His teammate, Bernard Hinault, won that Tour and was his main competitor. During the stage to Luz Ardiden, Hinault had a bad day. Greg was in front with Stephen Roche and had a lead that was big enough to take over the yellow jersey of Hinault and win the Tour. But his "directeur sportif" told him to stay in the wheel of Roche so Hinault wouldn't loose too much time. Greg was furious because the opportunity to win the Tour was not approved by his own team. A few days later LeMond won the time trial at Lac de Vassiviere and became the first american stage winner in the history of the Tour. The combined jersey was just a consolation for a yellow one that could have been his. 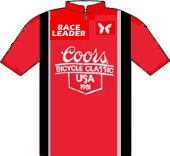 In 1985 LeMond won the major stage race in the United States. 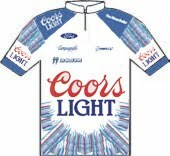 The Coors Classic crosses America from the West to the East coast starting in San Francisco. Greg showed he was the best in this race and won 1 stage in Reno. Hampsten and Shapiro finished on the podium. In 1986 Greg won the 5th stage in the Giro d'Italia between Nicotera en Cosenza. He finished alone after a surprising breakaway in the last kilometer. Guiseppe Saronni ended 2nd in the sprint of the peloton. 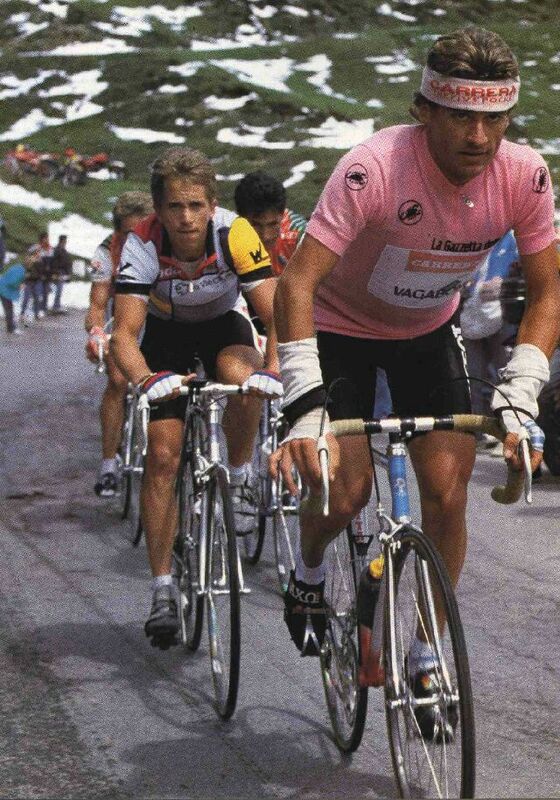 LeMond ended 4th in the overall ranking of the Giro behind winner Roberto Visentini. 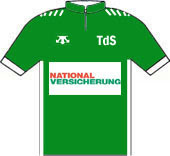 In 1986 LeMond became the best in the points classification (green jersey) in the Tour de Suisse. His teammate Andy Hampsten won this difficult stage race. 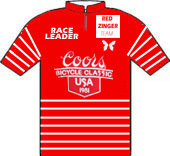 LeMond finished 3th overall but was using this stage race to prepare himself for the Tour the France. In 1986 Greg won his first Tour de France in a battle with his teammate Hinault. The frenchman promised Greg helping him to win his first Tour after LeMond was forced by his own team to give up his chances in the stage to Luz Ardiden in 1985. But instead of helping him he attacked him in the stage to Pau. 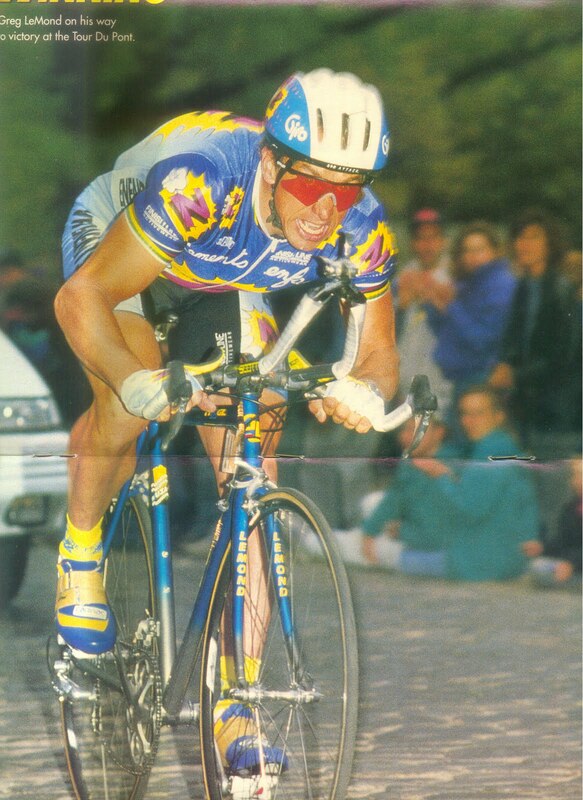 LeMond, not permitted to counterattack him, lost more than 4 minutes. The day after was payback time. After an attack of Hinault, Greg attacked him on the last climb to Superbagnères and won the stage. 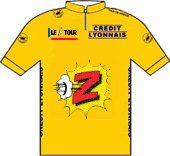 Hinault finished minutes after Greg but saved his yellow jersey. 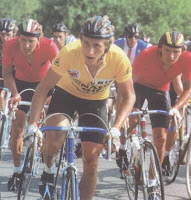 The following days Greg appeared to be better than Hinault and took the yellow jersey in the stage to the Col de Granon. The day after one of the most memorable moments of cycling happened in the stage to L'Alpe d'Huez. Hinault and LeMond attacked together and crossed the finishline hand in hand. Greg offered Hinault the stage, but knew that he could attacked him. His team didn't want it to be that way. After the stage Hinault told LeMond that the race wasn't over. The battle between two teammates became very stressfull for Greg and askes for his own cook, fearing a conspiracy against him. 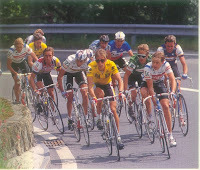 In the stage to the Puy the Dome it was LeMond who gained time to Hinault. 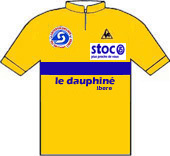 Before the final time trial to Saint-Etienne LeMond was leading Hinault in the overall. Greg crashed during the race and had a flat tire. Without these problems he would have won his second stage. After three weeks he became the first American to win the Tour de France. In another team it would have been his second. In 1987 LeMond went hunting on April 20 with his uncle and brother in law Pat Blades. Without knowing Greg was hiding in the bushes, Pat shot him by accident with his shotgun, thinking he saw an animal. Far away from home and a town, Greg was almost dying, losing a lot of blood and having a collapsed longue. After trying to get help by a cell phone he was finally flown to the hospital from a rural hunting site about 100 miles east of San Francisco after sustaining a wound to his right side and back. Dr. Sandy Beal, one of three surgeons operated Greg for more than 2 hours. They couldn't remove all 60 shotgun pellets from his body because the risk was to high. Greg now still has 40 pellets in his body. 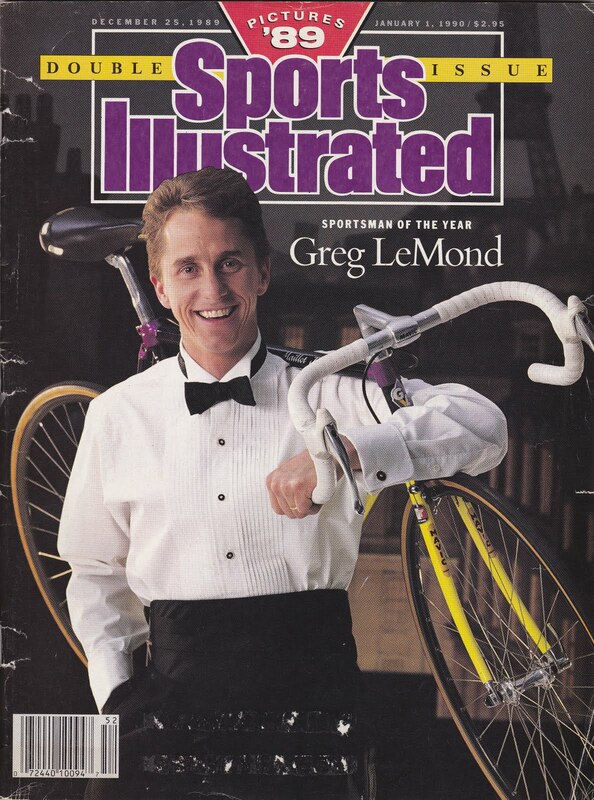 In 1989 Greg didn't start as a favorite in the Tour de France. That year he was riding for the Belgian ADR team and he was working on his comeback after his hunting accident in 1987 and a unlucky season at PDM in 1988. In the Tour Greg started with a good prologue in Luxemburg. Still nobody was thinking he could finish on the podium in Paris. 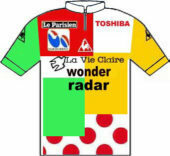 After one week the riders had their first time trial from Dinard to Rennes. In bad weather conditions and using a new thriatlon handlebar, Greg surprised the world by a victory and the yellow jersey. Now the main question was if he could survive the mountains. The first day in de Pyrenees was good and gave him confidence. The second day to Superbagnères became a difficult day. 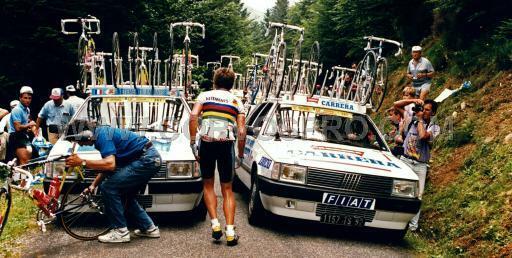 Even Fignon was left behind on the first climbs but helped by a car he came back. At the final climb Fignon attacked, LeMond tried to follow but then was on the end of his forces and had to let Fignon go. 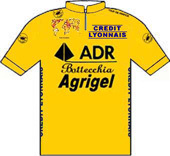 Laurent Fignon took the yellow jersey back from Greg. 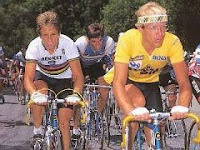 Six days later LeMond took time back on Fignon in the uphill time trial to Orcieres Merlette and wore the yellow jersey again. One day later to Briancon LeMond again gained time on the last climb to the citadelle. 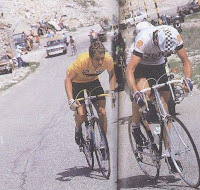 Then there was the clash on Alpe d'Huez. Both LeMond and Fignon started attacking during the first 5 kilometers. 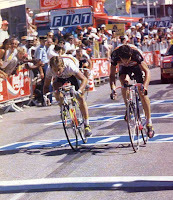 Then at 3 km from the finish Fignon attacked and Greg couldn't follow anymore. 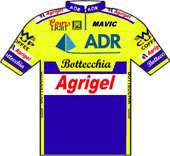 Fignon in yellow attacked the following day to Villard the Lans and took more time on LeMond. He now had 50 second lead to Greg with just 1 time trial of 24 km to go in Paris. Greg won another stage in Aix Les Bains in a sprint with a group containing all the leaders of this Tour. But then on the final day Greg did something nobody expected him to do. 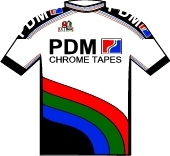 He won the time trial in Paris and beated Fignon with 58 seconds which meant that Greg won the Tour by 8 seconds. This Tour was the most exiting one in its history. 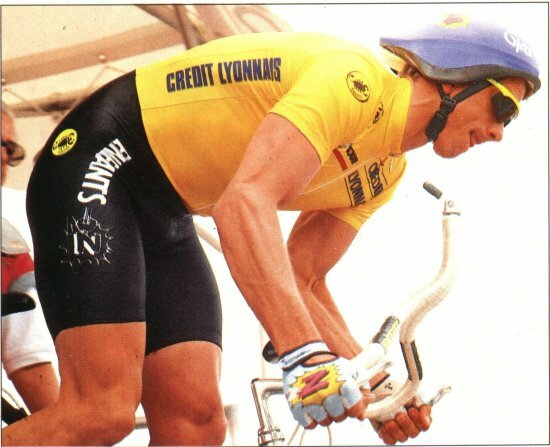 The winner ... Greg LeMond, comming back from nowhere. 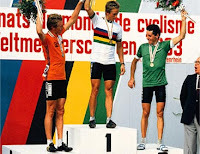 After winning the Tour de France in the same year and making an unbelievable comeback, Greg started at the World Championships of 1989 in Chambery (France). The circuit was situated in the french Savoie region near the Mont Blanc. The riders had to climb the Col de Montagnole during 17 laps. In the first part of the race LeMond wasn't really fealing good and he was thinking of quitting the race. But then it started raining and Greg felt better and better. 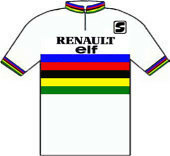 In the last lap he and his rival during the last Tour de France, Laurent Fignon, were still in front of the race. 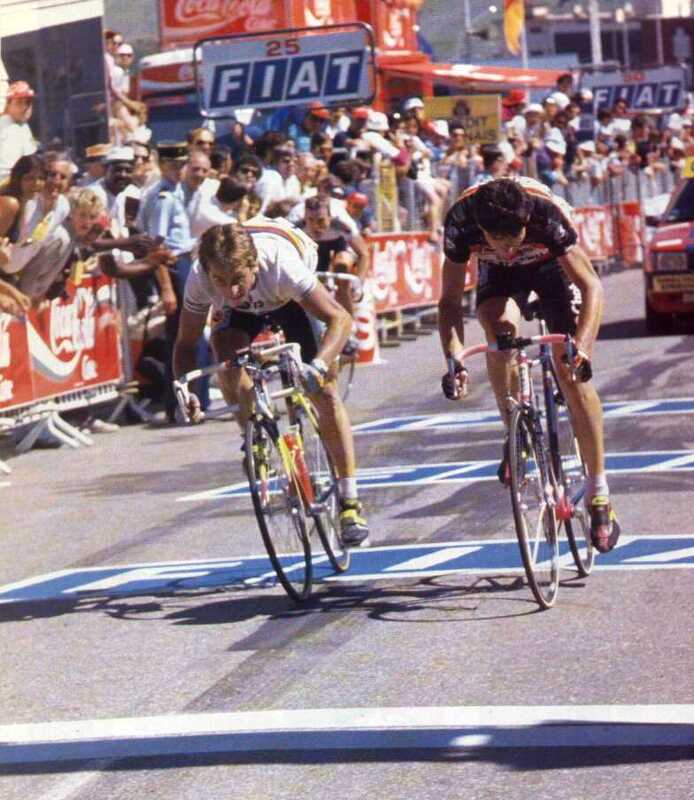 When Fignon attacked on the last climb Greg felt very strong. He reacted, got him back and counter attacked him. He couldn't make a big gap because they already reached the top of the climb. Steve Bauer had a puncture during the fast and dangerous descent. In the streets of Chambery an elite group was ready to sprint for the title. 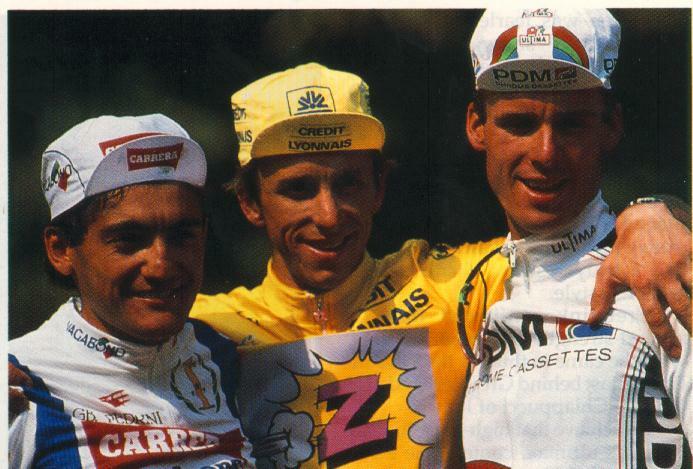 In that group Fignon, Kelly, Konyshev and off course LeMond. He started the sprint very soon but no one could pass him anymore. Greg crossed the finish line with his arm right up in the air and his mouth wide open. His second World Champion title was a fact. Het beated Sean Kelly and Dimitri Konyshev in the sprint. No one ever beleived that Greg could make such a come back after his hunting accident. A few months later he was proud to be the Sportsman of the Year in the U .S. 1990 would be Greg's last Tour de France victory. After finishing 2nd in the prologue with a special handlebar he had some difficulties to perform well in the beginning of this Tour. In the first time trial he only finished 5th. When the peloton went into the Alps his teammate Ronan Pensec, who gained 10 minutes with Chiappucci in the first stage, became the new leader. Greg couldn't attack because Pensec was his teammate. The stage to Alpe d'Huez Greg felt really good but had to follow. He lost by 10 centimeters in the sprint with Bugno. Chiappucci became the new leader and this was good news for Greg who could ride his own race now. The next days Greg regained a lot of time to Chiappucci during the fantastic stage to St-Etienne. But in the time trial to Villard de Lans we saw that Greg wasn't riding very well. In the Pyrenees it was time to attack Chiapucci. The stage to Luz Ardiden became very special. Chiappucci attacked very soon and took 3 minutes. Then LeMond leaded the peloton in the descent and with no fear and unbelievable speed he took the Italian back to leave hem behind on the final climb. Together with Indurain he attacked on the final climb and finished 2nd behind the spanish rider. In the ranking he became 2nd at 5 seconds from Chiappucci. The day after everybody expected Greg to take yell ow but on the Col de Marie Blanque he had a puncture. He had to wait about 2 minutes before his mechanic arrived. Meanwhile the Carrera team of Chiappucci was riding at full speed in front of the race because they heard about Greg's mechanical problems. 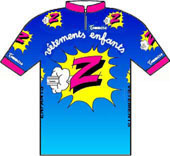 The Z team waited for Greg and together they chased the first peloton. After rejoining the peloton Greg was furious about the unfair riding of the Italian. 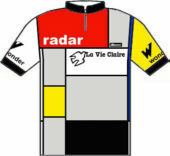 The final time trial to Lac de Vassivière became the day where LeMond took the yellow jersey. Again he finished 5th but the most important thing was he won his 3rd Tour de France. No stage win this year, but 2 second places. 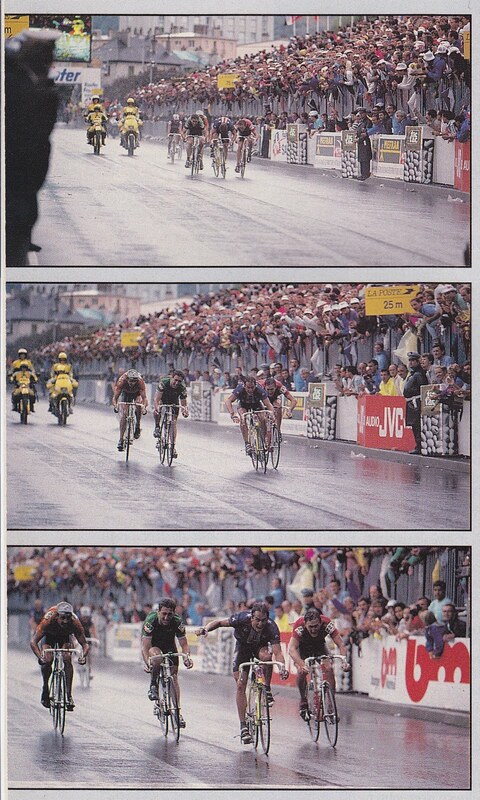 Chiappucci finished 2nd and Breukink 3rd. 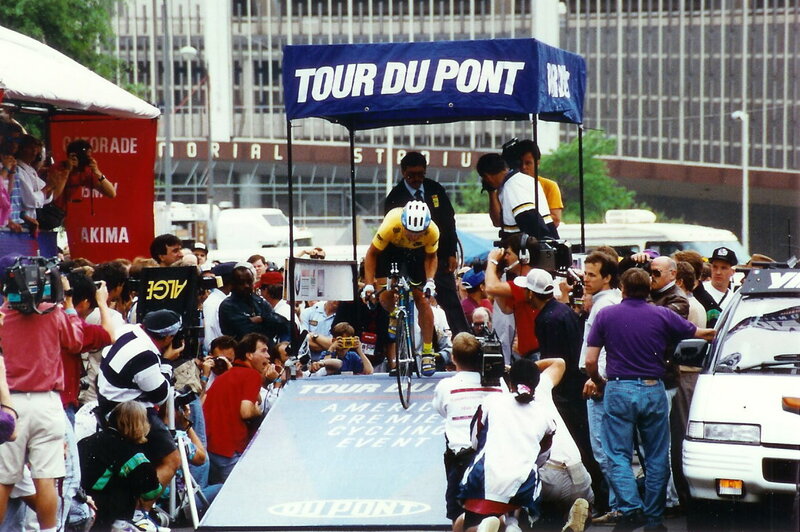 The DuPont Tour of 1992 became a nice race for Greg. In the prologue the riders had to climb the cobble stoned Monkey Hill. 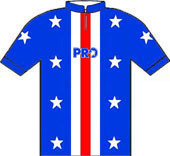 LeMond won the prologue and took the first leader jersey of the race. During the next stages Greg lost his jersey but he always managed to limit the gaps. 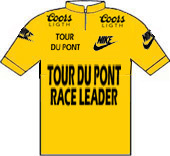 Finally Greg took the yellow jersey back and the final time trial on the last day in Washington would decide who wins the DuPont Tour. Greg finished 2nd but won the ranking. His teammate Kvalsvoll finished 2nd on the podium before Stephen Swart who became 3rd. It would be his last victory in his career.